Receiving spam can be annoying. The same goes for subscription based emails that can quickly flood the inbox. 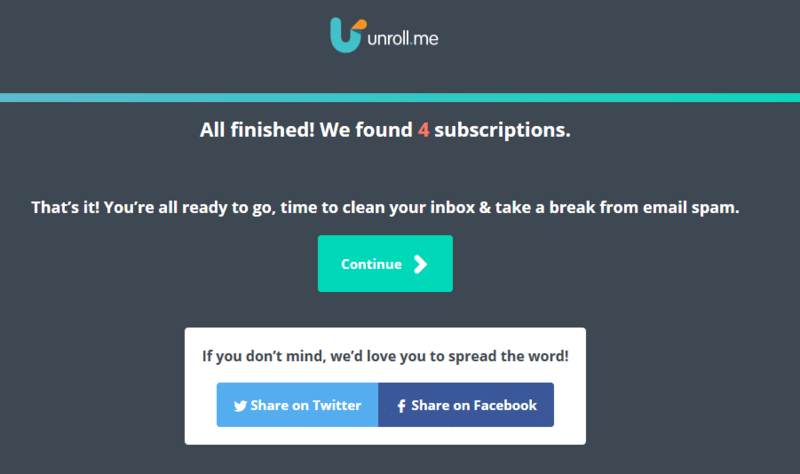 Unroll.me is a free service that can scan for subscription emails and can either unsubscribe from them or provide a daily digest/rollup. Using it is simple. 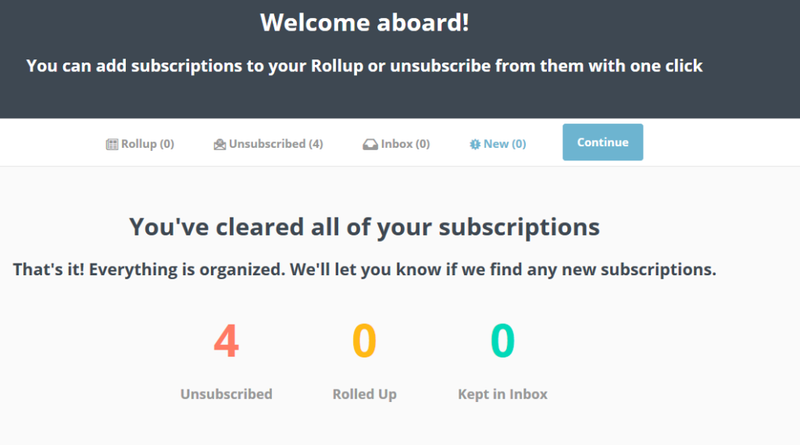 Go to Unroll.me and enter email address for which subscription emails need to be managed. 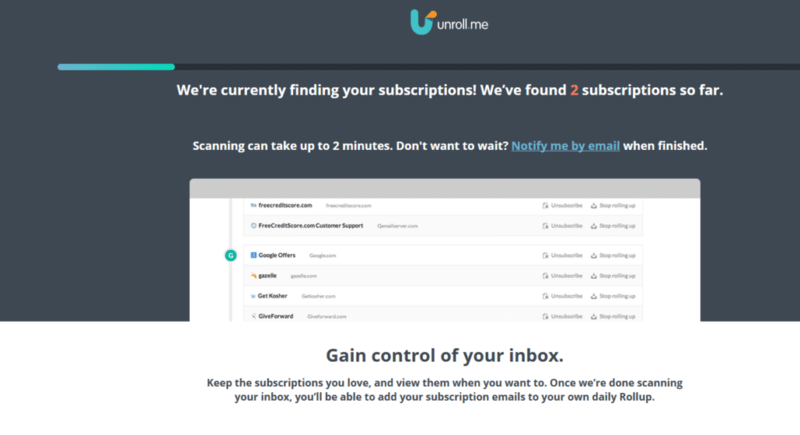 The service will automatically scan all the subscription based emails and list them. 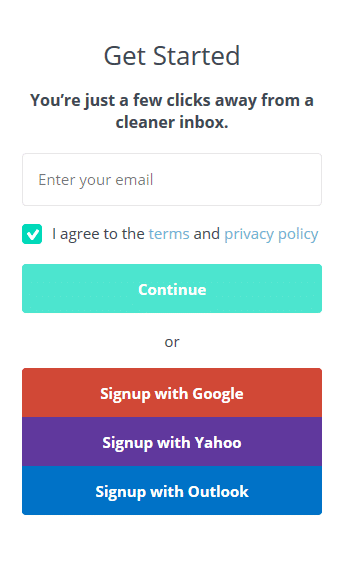 Either choose Add to Rollup (this will combine the emails as daily digest which can be scheduled to be delivered), Unsubscribe or Keep in Inbox. The service will display the overall status after streamlining the inbox based on the actions chosen. 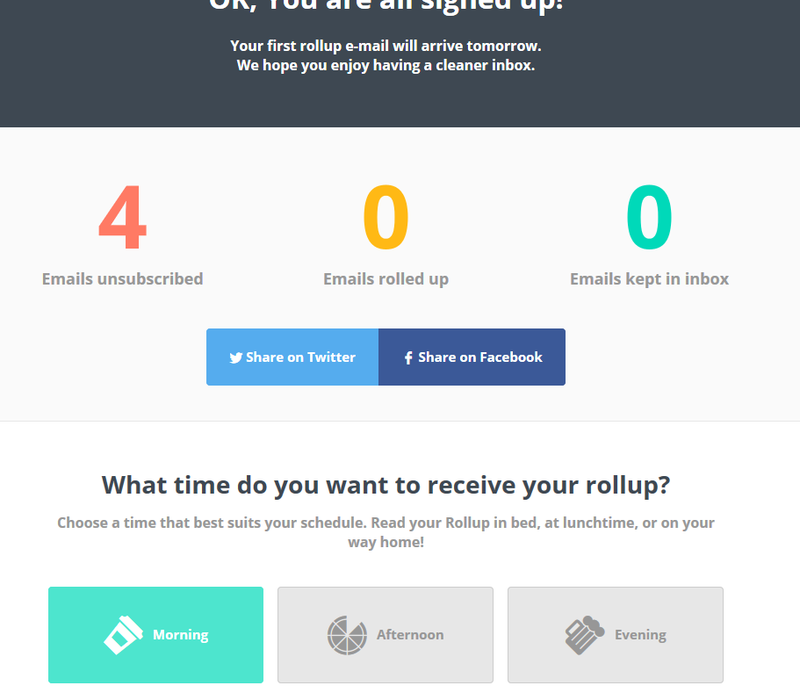 The rollup emails can be scheduled to be delivered in a convenient time slot – Morning, Afternoon and Evening. 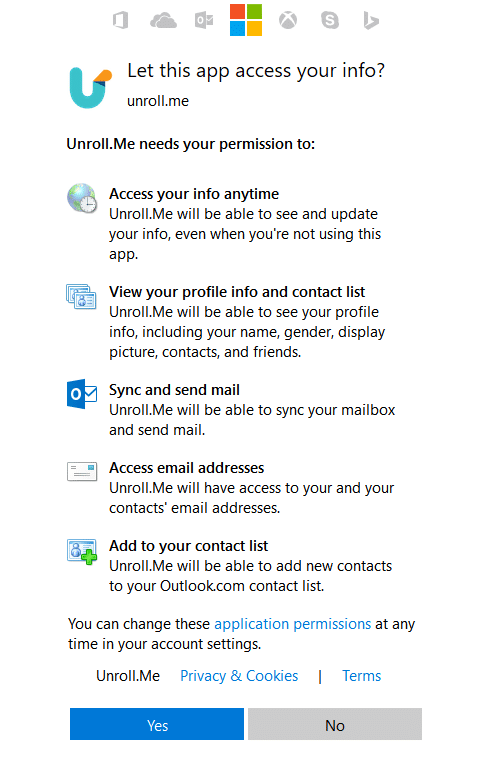 A separate folder Unroll.me will be created within the inbox which will receive all the subscriptions that were marked for rollup. The iOS app is also available. Definitely a time saver when trying to organize inboxes and streamline emails.